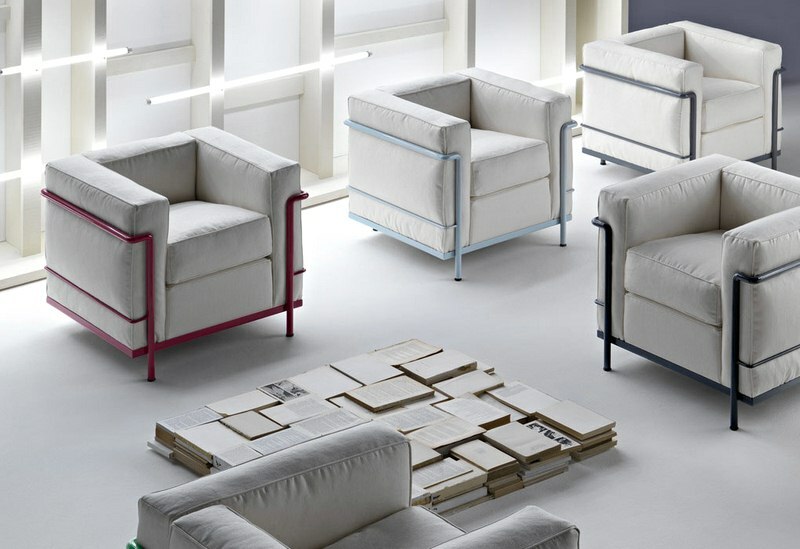 The LC2 chair was created by Charles-Edouard Jeanneret Gris – also known as Le Corbusier; a pioneering modernist who wanted to prove that anything could be reinvented to suit the modern genre. The well-padded comfort of this chair perfectly suited the criteria of the modern movement and was first crafted to be showcased at the Salon d’Automne art exhibition in Paris. Let’s take a look at everything you’d want to know about it. Le Corbusier is perhaps one of the most influential modernists we’ve ever seen. His work spans both urban, architectural, and furnishing scale, and the latter half of the twentieth century is full of his innovative designs. One of the founding fathers of modern design, Le Corbusier invented open floor plans, and his Villa Savoye is still a monument to principles that still apply to contemporary spaces. He was masterful at what he did and many of his works can be found in New York, Chandigarh (India), and Paris. The LC2 chair was one of his very first and most iconic furniture designs – a truly timeless classic that is beloved by many professionals and homeowners even today. The LC2 chair is part of the Le Corbusier group, which actually consists of sofas and armchairs that were designed as a modernist response of the old-school club chair. It was designed in an era when furniture was being referred to as ‘domestic equipment.’ The LC2 was first designed in 1928 but introduced to the public in 1929. The idea was to create ‘cushion baskets’ that expressed the newly minted modernist style with panache. Therefore, the LC2 chair was specifically designed to capture the clean, minimalist aesthetic of the modern movement with comfortable flair. The design of this chair mainly consists of a ‘caged’ frame inside which there’s a clean arrangement of plush cushions. It’s very compact, square-ish, and perfect for spaces that need an elegant, understated appeal without compromising the comfort at all. Le Corbusier took a very Rationalist approach with the design of this chair, and the fact that both of its main structural components (the steel frame and the cushions) are totally separate entities assures its radical articulation. 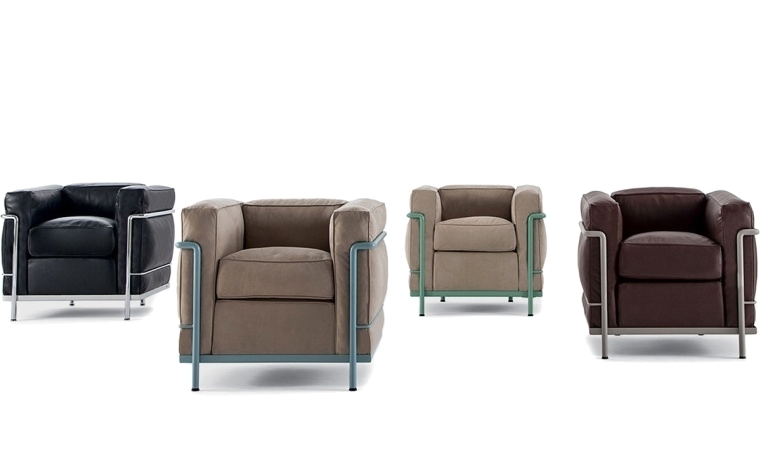 The LC2 chair is a modernist armchair that features a tubular structure. 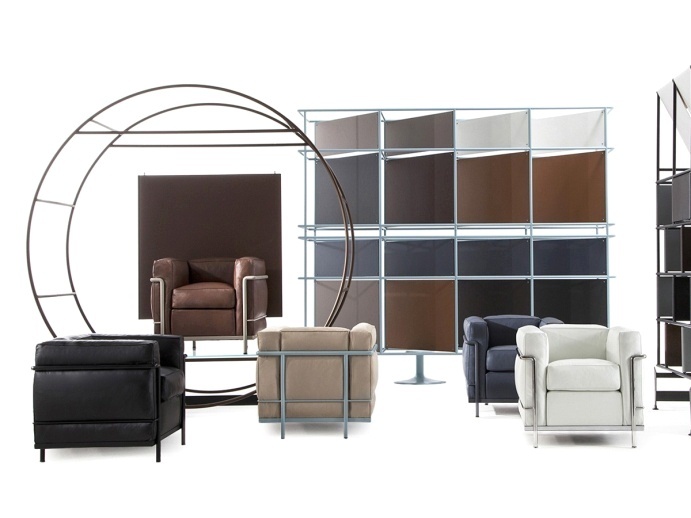 It is made from polished trivalent chrome plated (CR3) frame, while the cushions are made from polyurethane foam and polyester padding with leather upholstered cushions. These thick cushions fit snugly within the steel frames and the padded surface makes for a very comfortable seat. All of this detailing and careful attention to a clean design contributes towards an elegant and minimalist aesthetic, which is timeless enough to be aesthetically appealing even 90 years later. Although the LC2 chair is a scaled-down version of its other counterparts, it’s still pretty large in contrast to small-sized spaces. You’ll need to ensure that you’ll have enough circulation area around and about it if you decide to set it up in your space. In conclusion, you’ll need to think about whether it can suit the size of your space or not before making the purchase. At the core of its design, the LC2 chair is a radical modernist furniture piece, so you’ll need to make sure that your theme is sleek, clean, and elegant enough to complement its minimalist style and aesthetics. It’ll just end up looking awkward in an eclectic or bohemian style environment. The unique simplicity and organic nature of the pure modern style are extremely timeless, and actually what the LC2 chair has been originally designed to complement in the first place. It’ll fit in completely within the stark, austere ambiance of a modern theme. The eclectic mix and match of the contemporary style are overlaid with an inherent sleekness, and the LC2 chair can fit in this theme really well. The understated elegance of the LC2 chair is perfect for furnishing a minimalistic interior design with, as it is very unadorned yet still gorgeous on its own! So, this is everything that you need to know about the LC2 chair. Even though it’s almost 90 years old, the fact that it still appeals to contemporary sensibilities says a lot about its amazing design.